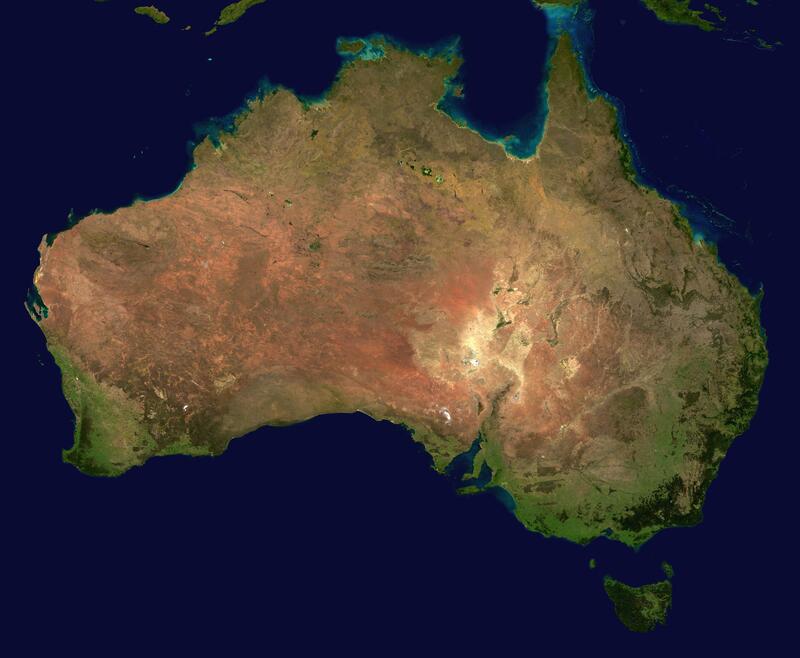 English: A composed satellite photograph of Australia. Українська: Компоновка супутникових знімків Австралії. Quelle The image is from , specifically land_shallow_topo_east.tif, which was cropped at 5250x4320+13390+11880.